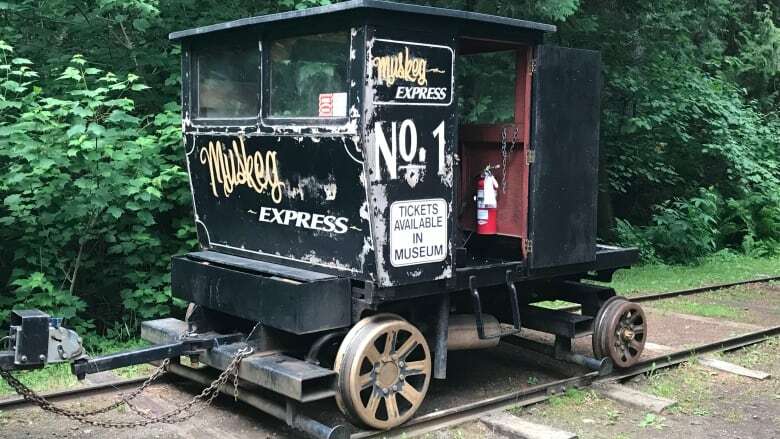 The Muskeg Express is off the rails, as the mini-train at Thunder Bay's Centennial Park has been taken out of commission, likely for the rest of the season, while the city tries to determine the cause of two derailments this summer. The Muskeg Express is off the rails. The mini-train, located at Thunder Bay's Centennial Park, has been taken out of commission, likely for the rest of the season, while the city tries to determine the cause of two derailments this summer. "When that ride does come off the tracks, in any fashion, it must be left in place and reported to the TSSA [Technical Standards and Safety Authority], to make a determination of what the next steps are to be," said Cory Halvorsen, the city's manager of parks and open spaces. "After the second derailment occurred, again, we reported that to TSSA, and the resulting request at this point is we have some further assessments to do," he continued. "The ride has been taken out of operation." Halvorsen said there were people on the train during this summer's derailments, but there were no injuries. One of the derailments happened in July, the other in August. Now, Halvorsen said, the assessments will examine the tracks, engine and passenger car. "I believe we do have a good understanding of what the issue is, however we have to get through these engineering assessments ... and get a response back from TSSA before we can, essentially, make any further action," Halvorsen said, adding it's unlikely the work will be completed in time to re-open the train this season. "We're looking at the hitch configuration," he said. "We're also looking at some counterweights on the front of the train." The city put $50,000 into the train earlier this year to re-align the tracks, which allowed the Muskeg Express to run for part of the season. Current River ward Coun. Andrew Foulds — Centennial Park is in the Current River ward — said he's "absolutely not happy" about the Muskeg Express being taken out of commission again. Foulds tabled the resolution that called for the $50,000 for track realignment, and said the response was positive. "I can't tell you how many people messaged me, e-mailed me, called me, stopped me on the street about how happy they were about the Muskeg being up and running," he said. "I think the fact that it's not running again, with some of the complications that are happening, speaks volumes to our need to take care of those things that we have." "It's a symptom of a far-greater issue." Foulds said city administration is making the train a priority, and intends to have it back up and running by next season.